TeleMatrix Marquis Series have become America’s favorite hospitality family through consistently reliable, durable and inventive products. From the new 3300 and 3300IP series, to the cordless 9600 and 9600 IP series, to the Trimline phones, to the budget oriented 3100 Series to the Legacy 3000 and 2800 Series, we carry ALL of the TeleMatrix hotel room telephones at wholesale-direct prices. The all new 3100 series phone features high quality construction and is a great combination of style and economy. 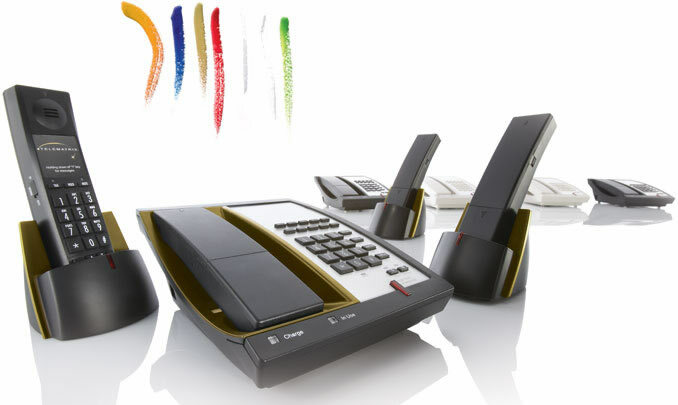 New single and two-line cordless IP speakerphones w. 5 or 10 memory buttons. This Legacy Series offers traditional styling with modern features and functionality. One or two line phones for lobbies, courtesy or hotel suite washroom phones or where space is limited.